We’re no strangers to vege-meat and it’s wonderful how far this meat look- and taste-alike has come to resembling the real thing sans the animal fat. Nature’s Original is Silang, Cavite, is a very good stop enroute to Tagaytay. Well, if you like curiosities and mementos like mugs and coffee, it can be a destination in itself. 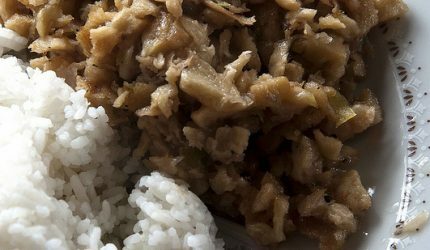 Their sisig (imitation fried pig’s cheeks, P88) is wonderful, garlic-infused, a bit spicy and has a good texture that’s, well, close to pork. 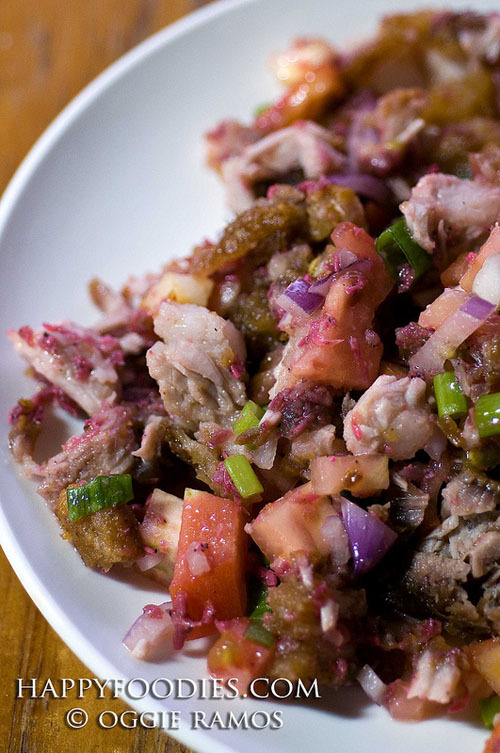 Cooked in olive oil, it’s sisig that’s actually healthful for you. And while you’re here, feel free to grab a mug or two of their coffee (P50) — it’s that good, with a lingering nutty flavor. We paired ours with the Spanish bread bought from the neighborhood panaderya (bakery) right across the highway — ah, the joys of simple living and eating. It’s way off the main road and open only for lunch and dinner three days of the week. But the gathering buzz on Bawai’s is proof that good news do travel fast. To paraphrase Kevin Costner in “Field of Dreams”, if you cook good food, they will come. And visitors do hie off all the way here to dine. We visited one hot Sunday afternoon as part of a small contingent of Summit Ridge’s Tagaytay weekend getaway. 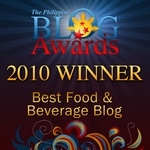 The location is actually in Silang, Cavite. To get there from the ridge, we head back to the rotonda and make a turn near the Aguinaldo highway and head through a smaller road, passing through hilly terrain planted to pineapple. We take another turn on a smaller road and stopped at a non-descript, two-storey house that looked nothing like a restaurant. Coming in, we espy a garden at the back where an alfresco dining area beckoned under the shade of trees and a profusion of plants. We were ushered to the upstairs dining area instead, greeted by the pleasant aroma of something delicious simmering. The place feels more like a home than a restaurant, The dining area isn’t much bigger than those found in other ancestral houses, with several tables that can accommodate no more than a dozen diners at any one time. Well, the diners ahead of us seemed to be in a jovial mood — always a good omen in any eating place. When the temperature in the city goes up, heading off to the highlands becomes a very appealing proposition. For Metro Manila folks, that’s either Tagaytay or Baguio. Well, your Happyfoodies had the pleasure of hieing off to Summit Ridge in Tagaytay for the weekend, partly to gorge on food, and to balance the weekend with some healthful activity. Let us count the ways: an hour of badminton, an hour of yoga on Saturday, a little bit of Zumba come Sunday (pardon us as two left feet couldn’t do justice to those flashy dance moves and as far as your Happyfoodies are concerned, the booty is meant to be used as final repository of digested food, not for those impossible-to-mimic booty shakes). Hmmm, sounds like those activities may mean we have some serious caloric deficit to make up for. 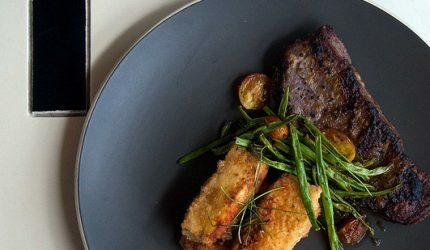 While spending the weekend in Tagaytay have almost always come to mean bingeing on food (Bulalo and Crispy Pata come to mind), alcohol, and sleep (or all three for those with Bacchanalian inclinations), the C2 Classic Cuisine (C2 in short) restaurant in Summit Ridge have a more sensible alternative – a healthy menu. The idea is sans fanfare: use whole foods and cook them simply so you get to taste their healthful, wholesome goodness. 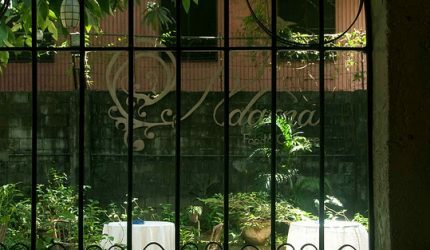 The location of Adarna is a bit strange. 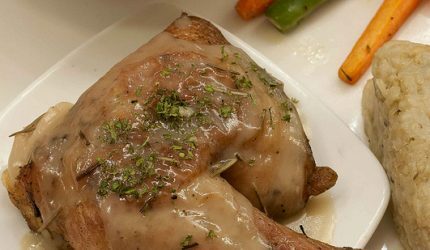 Instead of situating itself nearer the more conspicuous and more frequented areas of QC, the restaurant seems to sit by its lonesome along Kalayaan in Diliman. 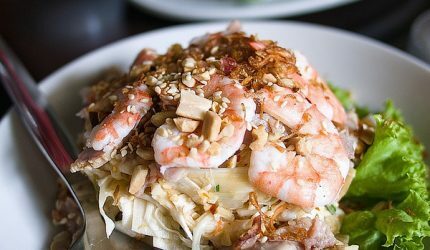 The wonderful thing is that curious guests and repeat diners do come all the way here — maybe some, for the enigmatic ambience, some, for the different vibe, but all come for the delicious eats. Hmmm, but I’m getting ahead of the story. Much has been written about Nomama‘s artisanal ramen that I’ve expected little else probably worth sampling on a visit to shoot for a magazine. So the Kitayama Flank Steak came as a very pleasant surprise. It took me over an hour to finish my to-shoot-list and I expected the steak to be a bit tough after an hour of sitting on its dish but no, it was very, very tender (made me wonder how much more tender it was hot off the grill). The liberal use of Miso butter lent an irresistible, exquisite taste so much so that even if I just had a bowl of ramen, I managed to finish the steak by myself. The crispy tofu slices are a nice foil to the meat, not that my taste buds quickly grew satiated to the flavor. Masferre Country Inn and Restaurant has many draws. For the tired of feet, it’s just a few steps from the municipio. For the photography- and culturally-inclined, the dining area is literally a feast for the eyes with Eduardo Masferre’s works on display. 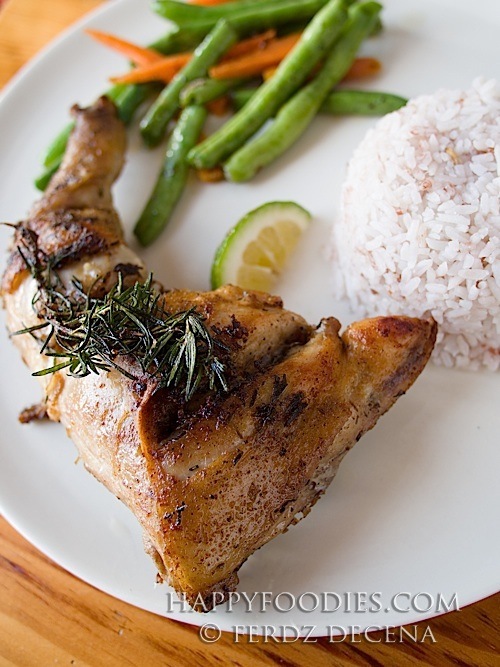 For the hungry diner, the restaurant has been a staple among Sagada repeat visitors because the food is predictable — in a good way. It’s rare that either of your Happyfoodies have ventured to Sagada without at least eating a meal here and this most recent visit is no different. The homey interiors of mostly wood material always makes dining a real pleasure. The perpetual nip in the air is simply made for good eating. One of the finer pleasures of Sagada is gustatory in nature. Everything — the weather, the elevation, the views — seem to inspire indulgence. Dunno but there’s something about hieing off to the boondocks that make even the mundane special, like ordinary coffee or instant noodles become a treat especially after a hike. Perhaps, by stroke of serendipity, Happyfoodies found accommodation in the town outskirts some 1.5 kilometers from the sentro. Meaning yes, we’re away from where most of the eating places are but by luck, very, very close to Misty Lodge and Cafe. Our host, Derick, of Yabami Lodge recommended it as we were looking for somewhere closer to eat apart from Rock Inn’s Bodega Cafe some 350 meters away. Smoked out from the Panag-apoy rites, we decided to drop by at dinner time as the cafe was on our way home anyway. So, did we like the food? Well, we came back a second and third time during our three days in Sagada. It was that good. 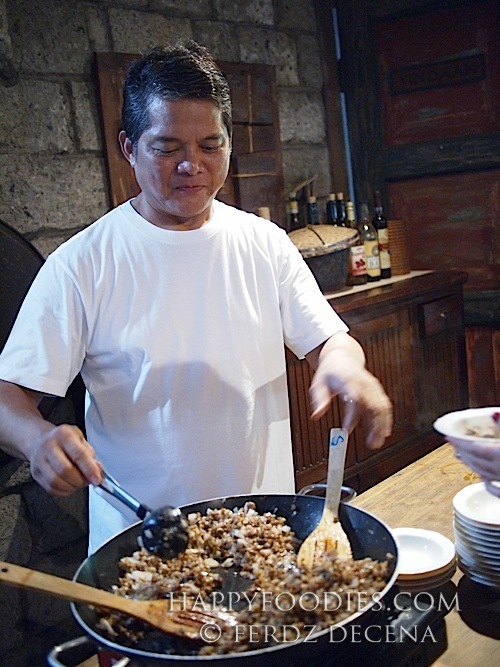 Considering the fact that Anthony Bourdain had to travel thousands of miles to feast at Bale Dutung, Happyfoodies’ return trip to the wooden house in Angeles City was comparatively, a small sacrifice. Nay, call it miniscule especially considering the gustatory reward which is, following the Kapampangan stereotype, lavish.